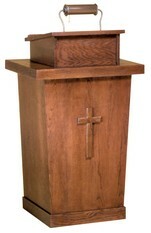 Every religious leader needs a place from which they can deliver the good Word. 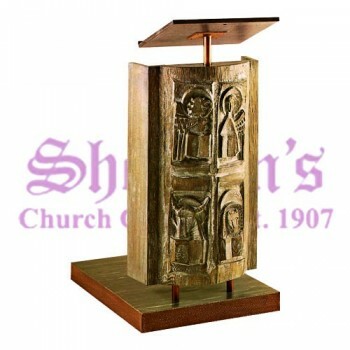 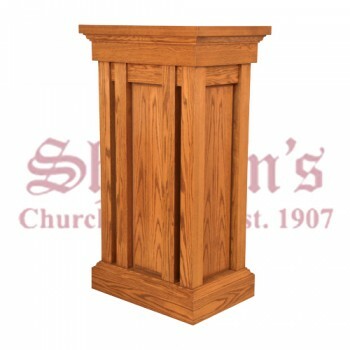 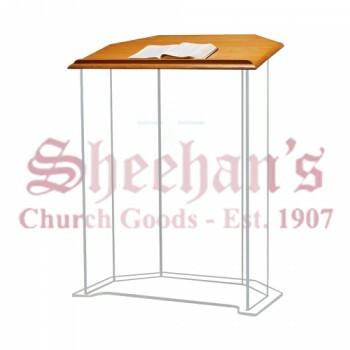 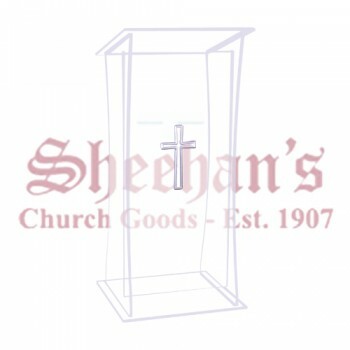 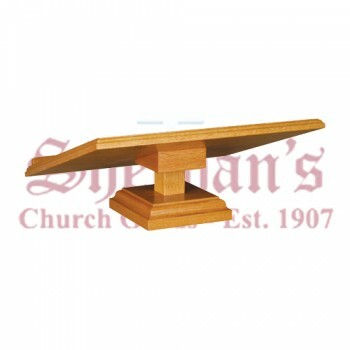 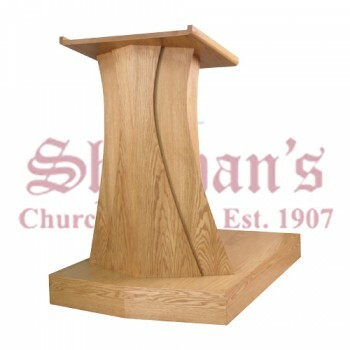 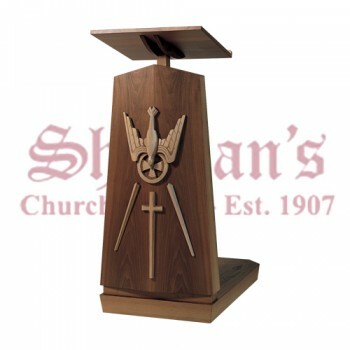 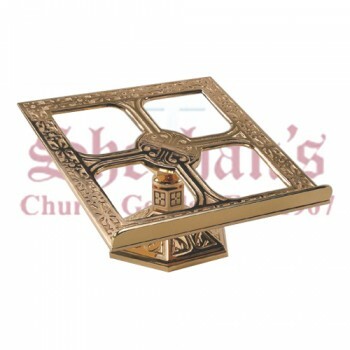 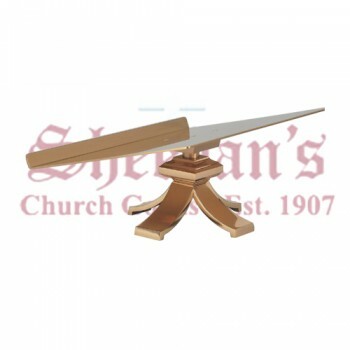 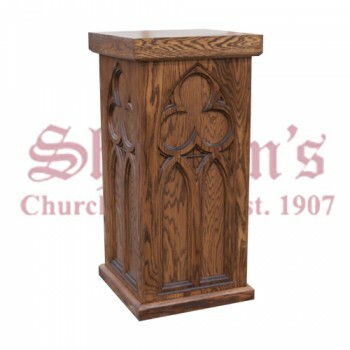 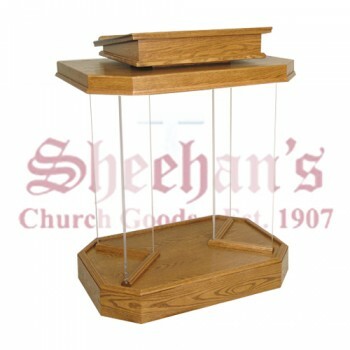 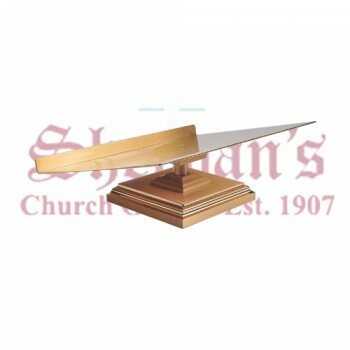 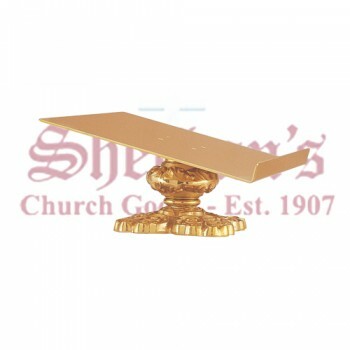 Matthew F. Sheehan offers a large selection of lecterns, pulpits and missal stands to choose from in designs that are perfect for a wide range of churches. 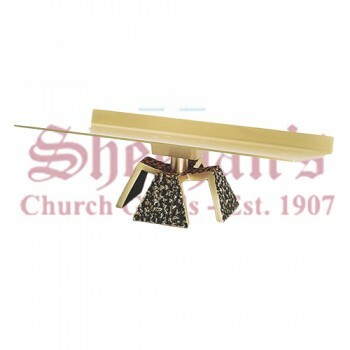 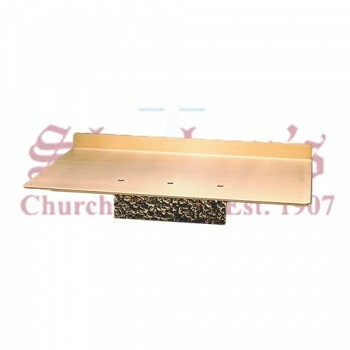 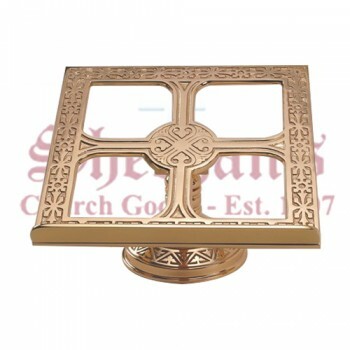 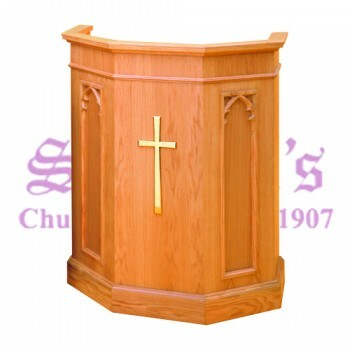 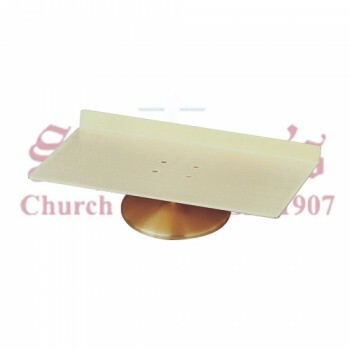 Our pulpits for church, lecterns and missal stands are specially designed to serve the needs of religious leaders and are available in a wide range of styles and finishes. 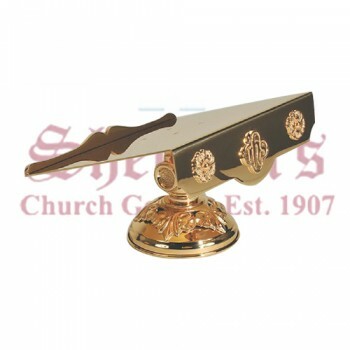 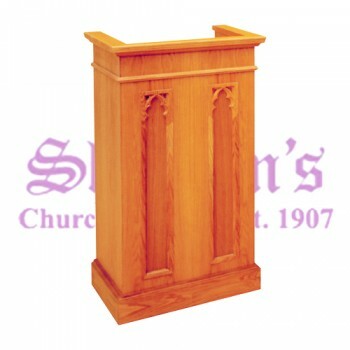 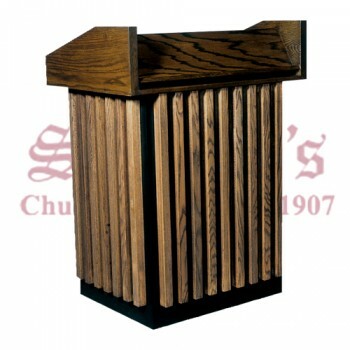 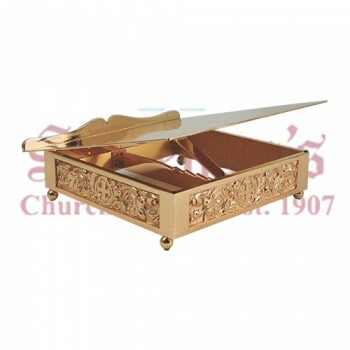 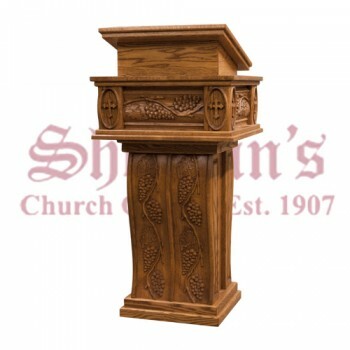 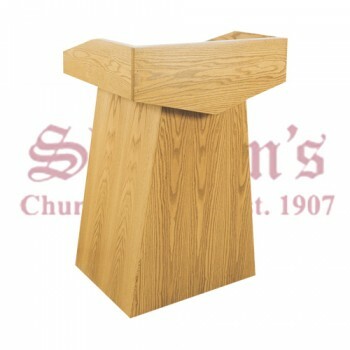 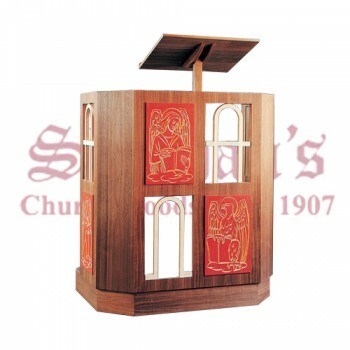 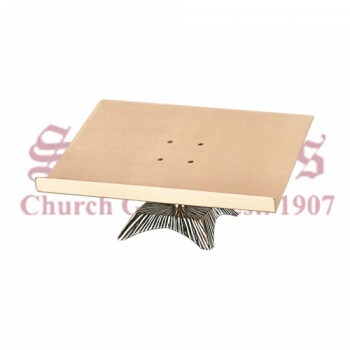 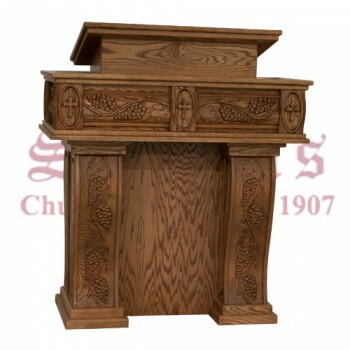 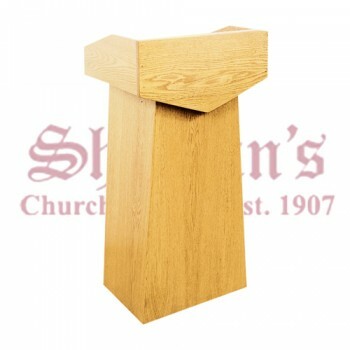 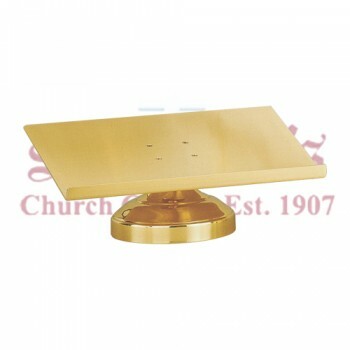 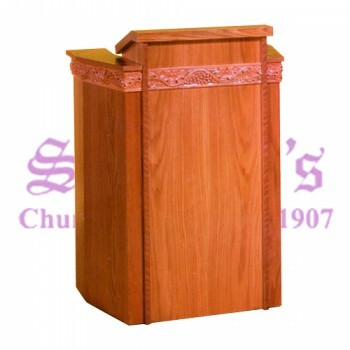 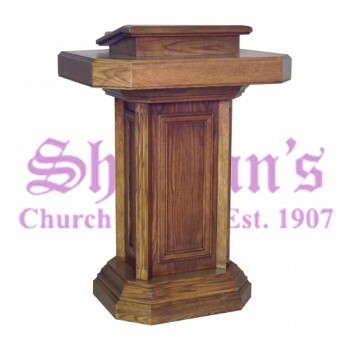 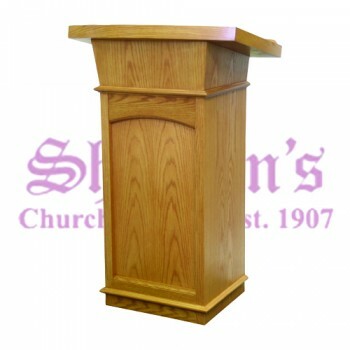 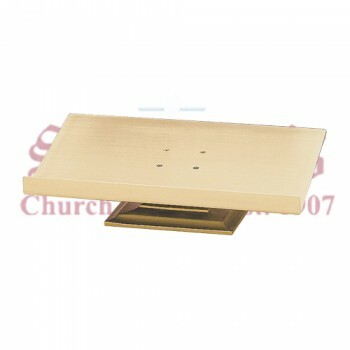 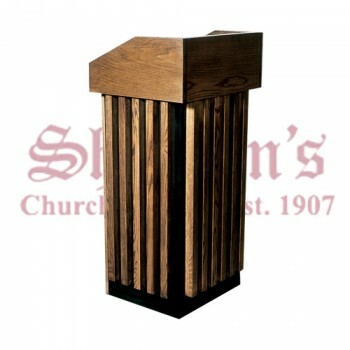 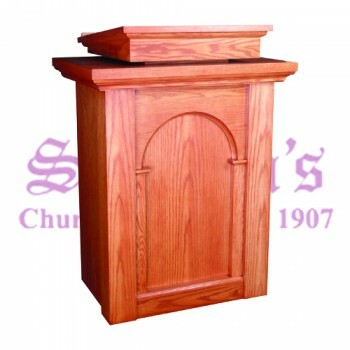 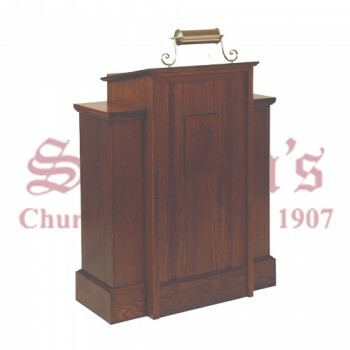 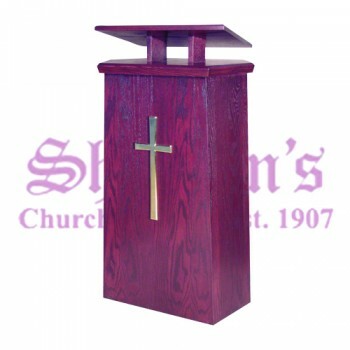 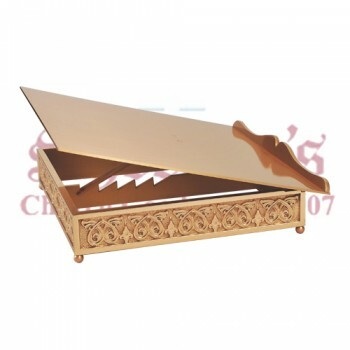 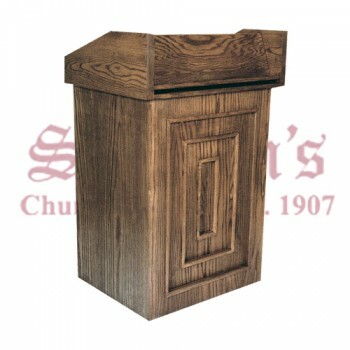 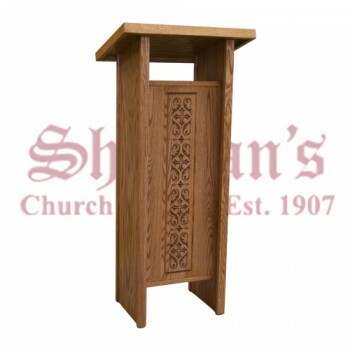 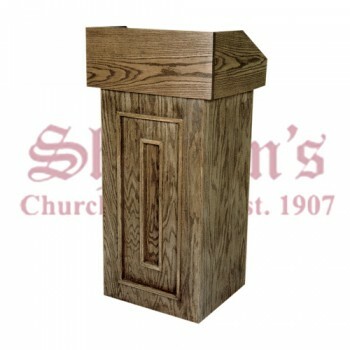 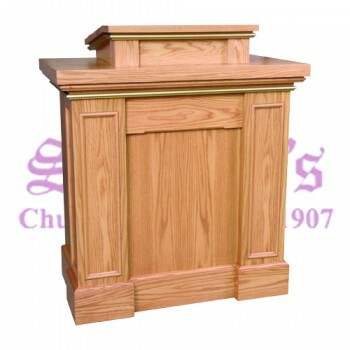 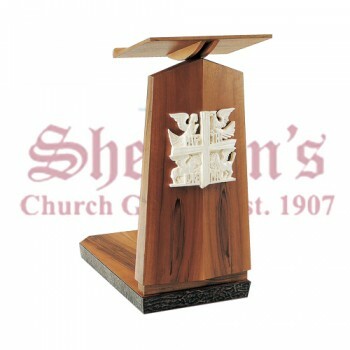 A lectern is simply a stand that is found in the front of the church. 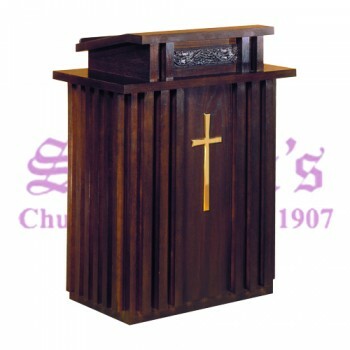 It may be topped with a Bible stand and may also include a light or microphone depending on the size of the space it is housed in. 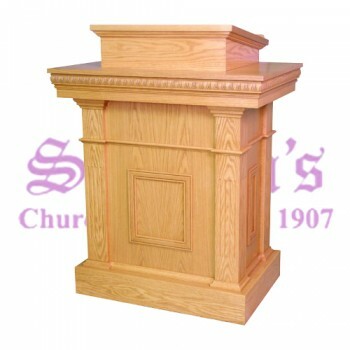 A pulpit is slightly different from a lectern in that it has an elevated platform for the speaker to stand on, marking their importance. 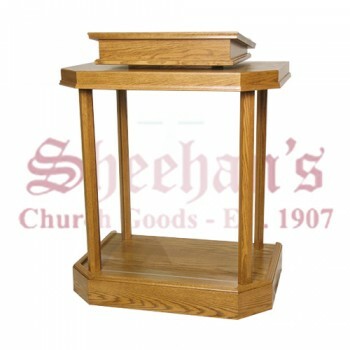 A missal stand is perhaps the most versatile of the three structures, in that it is movable and allows the speaker to keep a book or notes at a comfortable angle during services. 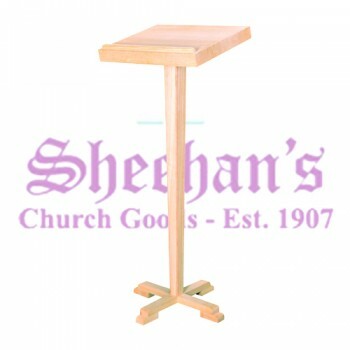 Browse our selection of lecterns, missal stands and church pulpits for sale today to find the right piece for your needs. 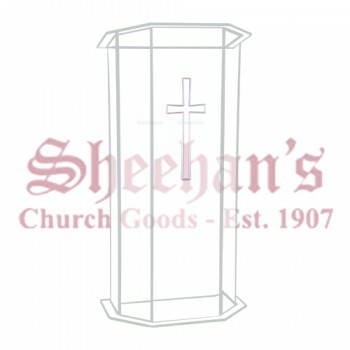 For assistance ordering or for questions, please give us a call at 1-617-971-9800 and we'll be happy to help.